Israel has an inspiring story and a heroic history. Her enemies in the Middle East are unsympathetic, and her friends in America are numerous and devoted. 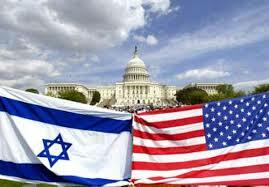 As a result, Israel is popular in America, both on the grassroots level and among the political elites. Nonetheless, in the PR wars, as played out in America’s media and on campus, Israel does not tend to fare well. In fact, Israel’s PR efforts recently have seemed particularly inept. It is interesting that the current government of Benjamin Netanyahu, a superb communicator who went to high school in America and was once known as a master of public relations, has had so little success in the PR realm. The following are some thoughts on how the State of Israel can conduct a more effective PR campaign. Talk about the Hamas-Palestinian Authority unity agreement and the dangers that it poses to Israel and the region. Never mind the details. Focus on the essentials: Hamas practices terror and preaches hate, and is anti-Semitic in word and deed. Americans know enough about Hamas to know that if the Palestinian Authority wants Hamas as a coalition partner, it cannot be serious about peace. Remind Americans repeatedly that the dangerous neighborhood in which Israel lives is more dangerous now than ever before. On Israel’s borders, Syria is in the midst of a murderous civil war, Lebanon is dominated by the radicals of Hezbollah, and Egypt faces instability and uncertainty; meanwhile, nearby Iraq is on the threshold of chaos, and the shadow of the Iranian theocrats hovers over the region. In this mix, Israel is both America’s endangered friend and a democratic, stable, and reliable ally. Emphasize Israel’s desire to separate from the Palestinians and arrive at a peace agreement that will allow Palestinians to live in a state of their own. (Israel’s Ambassador Ron Dermer, in an impressive interview with NPR on April 29, made precisely these points.) Again, the details are not important but the principles are. It is not enough for Israel to talk about her opposition to a bi-national state; Israeli leaders must say what they are FOR. Some Israeli politicians think that vague statements about Israel’s desire for peace are sufficient, but they are wrong. Fudging about the ultimate goal muddies the message and undermines Israel’s case. Don’t dwell on Israel as a Jewish state and on legislation intended to enshrine that status in law. Yes, Israel is a Jewish state and the homeland of the Jewish people, and yes, her Jewish character was recognized by the United Nations in 1947. There is no reason to retreat an inch or to compromise in any way on the substance. But some things are true and right and yet are not at the heart of a PR campaign. And the fact is that, although Israelis often miss this, the idea of Israel as a Jewish state does not resonate particularly well with Americans. Since Americans see Judaism primarily as a religion and church-state separation as a sacred principle of the American constitutional system, the idea of a “Jewish state” confuses them. To be sure, a thoughtful speaker can explain this, but PR is about sound bytes, not lecturing. Better to talk about Israel as a freedom-loving democracy. For heaven’s sake, don’t attack America’s political leaders or diplomats. This would seem to be self-evident, but apparently it is not. Defense Minister Yaalon’s attacks on Secretary of State Kerry, the latest instance of this phenomenon, were hugely damaging; Yaalon’s failure to offer a straightforward apology and Netanyahu’s failure to issue a convincing reprimand made matters much worse. Americans are a patriotic bunch; even opponents of the Administration don’t like foreign leaders badmouthing their government. To avoid a PR disaster, the Prime Minister must issue a clear directive to his ministers: As part of the cabinet, you speak for Israel. It is fine to talk policy, but don’t attack American leaders. If you do, you’re gone. And finally, don’t talk settlements. This, of course, is more a matter of policy than of PR. But the two are intimately related. The single greatest obstacle to a successful Israeli PR campaign in America is Israel’s obsession with settlement building, which dominates Israel’s media and then in turn dominates the headlines in America, week after week. The disastrous result is that settlement stories—how many units, where they are built, what the Palestinians say, what the Americans say—tend to crowd out everything else. And no matter how many explanations and justifications are offered, Americans—including American Jews—do not like Israeli settlement policy. There is no conspiracy at work here. When Israel’s media focuses incessantly on settlement issues, media in America will always do the same. Therefore, there is no higher priority for Israel’s government than arriving at an understanding with the United States on what type and level of settlement the Americans, unofficially at least, might be prepared to accept. The current political moment is a good one for such an understanding to be reached. Without it, a truly successful Israeli PR campaign in America will be difficult, if not impossible. With it, we might see the settlement controversy gradually disappear from the daily headlines. And we might finally see other stories—those on Israel’s technology and economy and the good works of her government and people—getting the coverage they deserve. What do you think is the single most important thing the Israelis can do to win the PR war? Settlements are such a big problem that until Israel stops settlement activity nothing else will improve its PR.